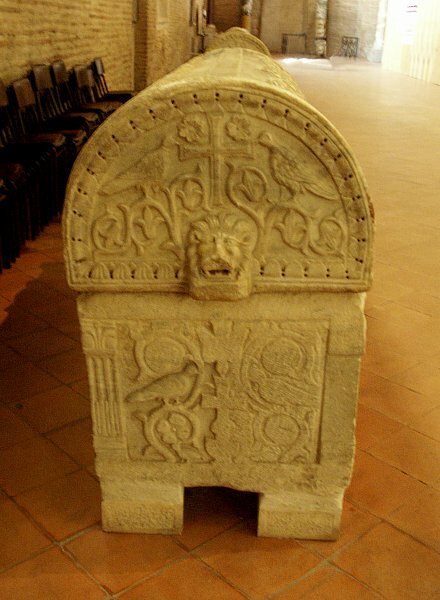 This bishop of Ravenna died in 688 C.E. 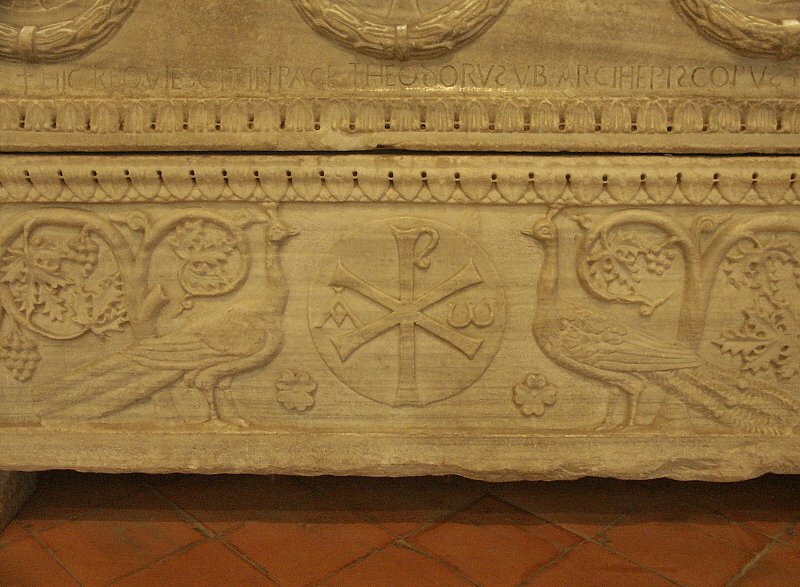 The decoration is symbolic with vine-shoots, alluding to Christ's words, "I am the vine, you are the branches." 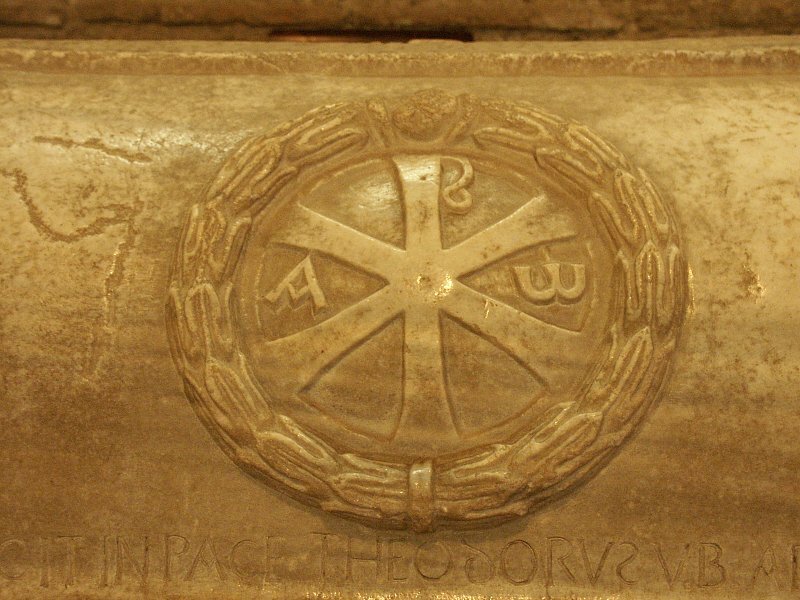 The vine loaded with grapes also refers to Paradise where those following Christ will reside. 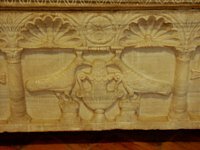 Also carved on the marble are peacocks, a Christian symbol for immortality and the monogram for Christ, Χ and Ρ, the first and second capital letters of the Greek name Cristos. 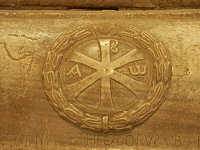 The letters alpha and omega recur, as they did on the mosaic of the Transfiguration in the apse, signifying Christ as the beginning and end. 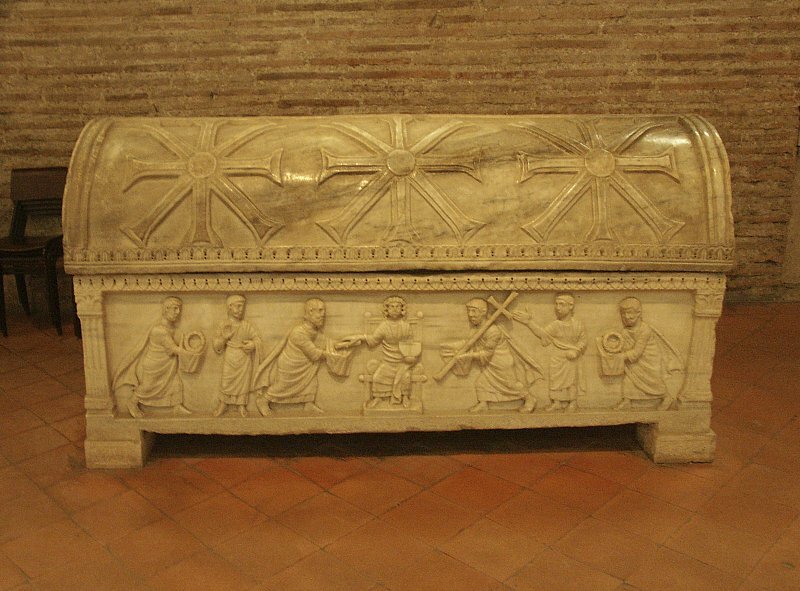 The Twelve Apostles' sarcophagus, dated about 5th century C. E.
Jesus, in the center, gives Paul the scroll representing the Law, while Peter, on Jesus' left, carries a cross, representing his crucifixion and the keys in a veiled hand. 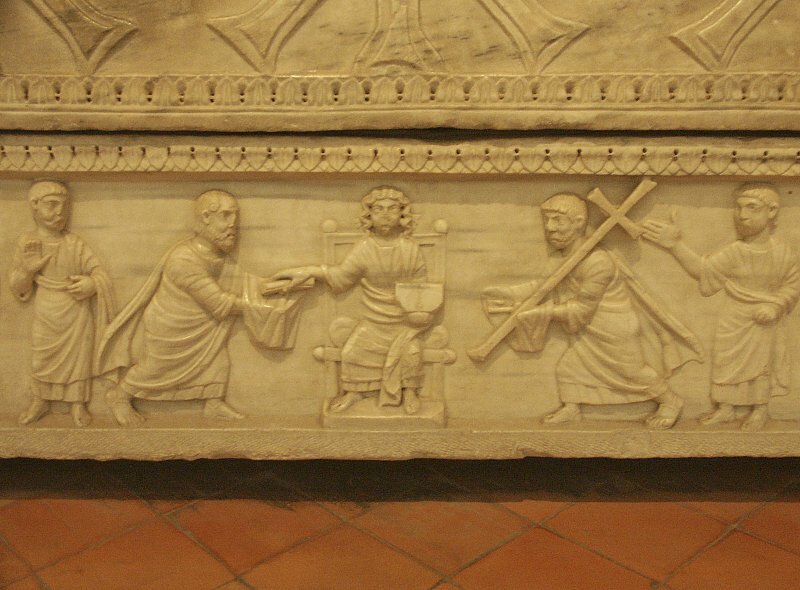 Other Apostles carry martyr's crowns or pray with one hand raised. 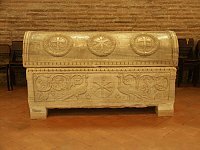 The symbolism is similar to that of Theodorus' sarcophagus; thus, it is thought that the same school executed this marble sarcophagus. 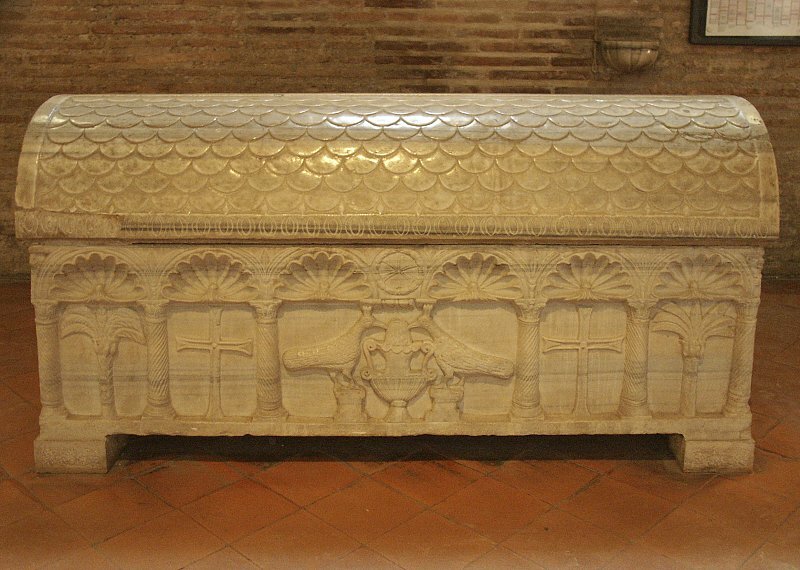 Sarcophagus with six niches, 6th century C. E.
The lid of this marble sarcophagus is carved in fish scales. 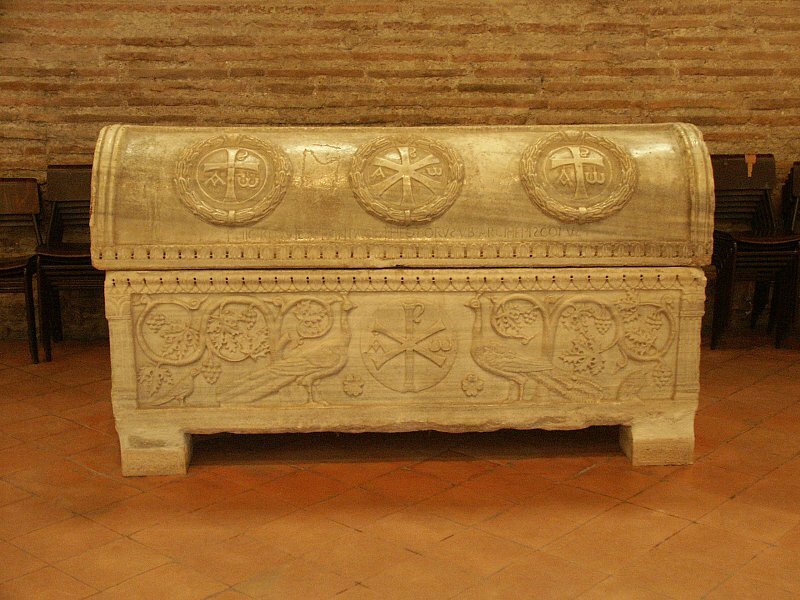 The frontal view has niches, the tops of which have shell motifs. 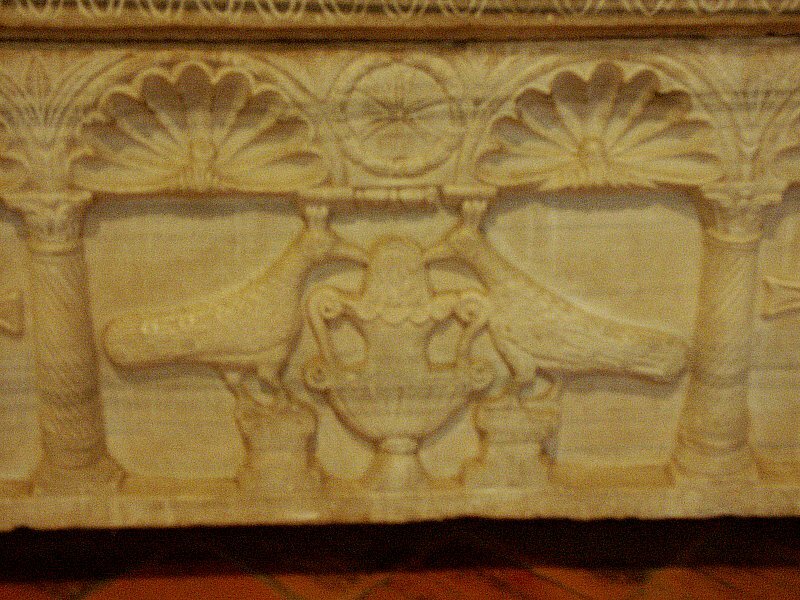 The niches contain date palms, crosses, and peacocks drinking at the source of everlasting life.